I know that I champion starting home businesses that are solely run online, but I am also aware that a variety of skills could sometimes mean that one does not have the passion or skill to pursue an online business. That is where the offline Home business comes into play. While you can start a Home Business that is basically offline like the ones I will mention below, you cannot afford not to market it online. This because marketing your business online and giving it an online presence even if its just a FaceBook page or an Instagram page will ensure that you succeed. You can start these businesses at home but they require more local work with individuals or going to other locations with your home as the base. These positions are often just as lucrative as the online businesses but require a little more infrastructure or hands-on work. Here are 13 businesses you can do as an Offline Home Business. -In-Home Childcare Provider – If you have a big enough home you can use a portion of it to provide childcare. You can make from 100 to 200 dollars per child depending on your location and the age of the children. You will need to get a license for your state before you start. The good thing about child care is that once you provide good services, you can make more money because word travels about your business and provides you with recurring income. -Event / Wedding / Party Planner – If you like planning parties from birthday, to weddings, to anniversary or other events, you can make a good living doing it. You’ll need to make connections with caterers, bakers and others who can help you with the parties. You’ll manage everything and put it all together and make sure nothing goes wrong. -Music Teacher – If you are good with music and know how to teach people to play an instrument, sing, or perform you can become a music teacher from your home. You may need to get a background check to work with kids if the parents are going to leave. -Public Speaker –Do you have a motivational story to tell, have you achieved success that you can help others achieve? If so, you might consider becoming a public speaker. You can get on various speakers lists and make quite a good living speaking. This requires travel, so it’s not working “at” home but your home can be your base. -Seamstress – If you can sew, you can create a business in a variety of ways from making custom-made clothing or purses to alterations. You can sell online and locally to custom shops by offering a percentage of sales to local boutiques. -House Cleaner – It might not be romantic but there is a lot of money to be earned in the housekeeping business. People need help due to their busy lives and you can provide that help. You’ll go to their location to do the cleaning, of course, but you can run everything else from your home office. -Backyard Gardener – If you have at least 1/2 an acre, you can start gardening as a business. You can grow salad vegetables, herbs and more and sell them to local restaurants and even some grocery stores, or set up a stand at your local farmer’s market. If you live in the right location you can set up a stand right there. -Pet Groomer – If you love pets, you can clean them and groom them so that they look good. You can do this right from home if you create a little grooming shop in an extra room. Check your local laws to find out the rules of regulation. -Personal Chef – Do you like cooking special meals? If so you can do that for people in their homes. You shop for the ingredients, cook them in the client’s house, and then freeze them in labeled containers for the client to heat up later during the week. If baking is your passion you can take a look at my post on how to start an online baked goods business. -Furniture Maker – Have a knack for building things with woodworking equipment? You can create new items from scratch or you can refurbish and then sell older items. This business can be quite lucrative and start as a hobby. if you like to refurbish old furniture and resell it, you may find that eBay is your best bet for selling your refurbished items. often you will find that you may find old and discarded furniture which you can repurpose and sell for a profit. Take a look at my post to see places where you can re sell used items. -Landscaping Services – Got a lawn mower and some equipment you can start a landscaping business. Even if all you do is mow lawns and edge them you can earn a good living during the season. You can easily make 30 to 40 dollar an hour. -Interior Decorator – If you have a way with color, staging furniture and making a house feel like a home you might want to start an interior decorating business. You will earn money based on the total budget so you’ll need to be good at getting discounts from suppliers. Another interesting thing about this line of job is that you can earn money from designing the Home and picking our the materials needed while you outsource the main job of actually implementing the design to someone else. That way you are able to get more time to put into your creative passion of designing the concepts. If you want a good place to get very good decorative pieces for your home design projects then consider looking at Amara a business that deals with Home decor accessories, they feature different categories of Home fragrances, Lighting, bedroom kitchen, and other decorative accessories that make a home look beautiful. They have great goods that are currently on sale. you may want to check it out here. Want to learn about 10 more business Ideas for the fall season, click on this post. Hopefully, these ideas helped you think of something you can do from home. Being a mom is a difficult job but if you can do something to earn money as a work at home mom it will make everything a lot easier. No need to commute to work, buy expensive clothing, and in some cases, you don’t even need child care. At the very least, you’ll be able to work around your children’s schedules so that you can have a better-balanced family life. 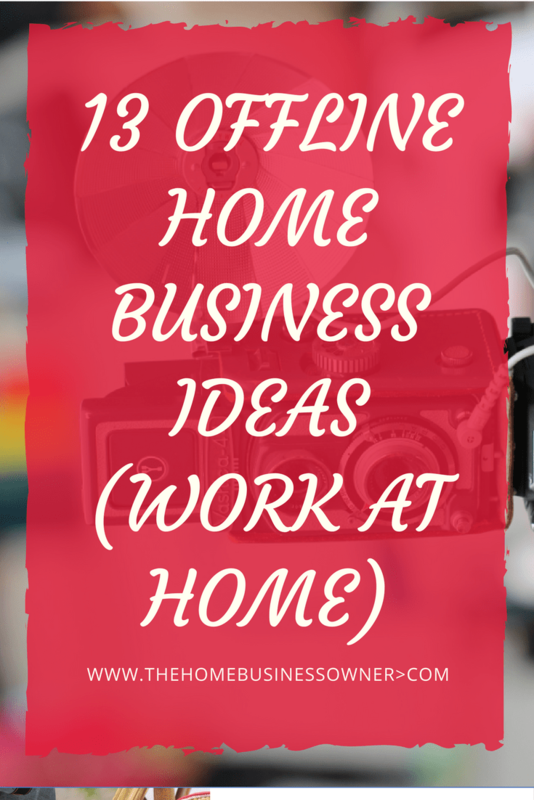 Do you have any more Ideas for offline home business ideas, leave a comment below? Visit our online shop today for our Black Friday Deals. Click Here. Love these ideas! They’re very practical and a lot easier to accomplish than many realize. Thanks Jodi, I agree with you. These are all great ideas! Im always looking for a way to make money from home! Thanks Ashley, glad you like it. These are fantastic ideas, thank you for sharing! Great recommendations! I would love to be a home decorator! Thanks, Jeanette, I also would love to be an interior decorator sometime in future, its one of my passions that I Have never had the time to explore. I paid for a training which I started but never completed. Thanks for commenting on it. I hope to get to it someday. This is a great list and resource. Thank you so much. I find posts like this the most realistic and helpful of all, in my life and goals. Pinned for later too. Thanks Allie, I am happy you found it useful. Would love more than anything to be a party planner from home!! Love your ideas, thanks! Thanks Megan, I hope you act on your passion soon. This is one of the best business ideas.